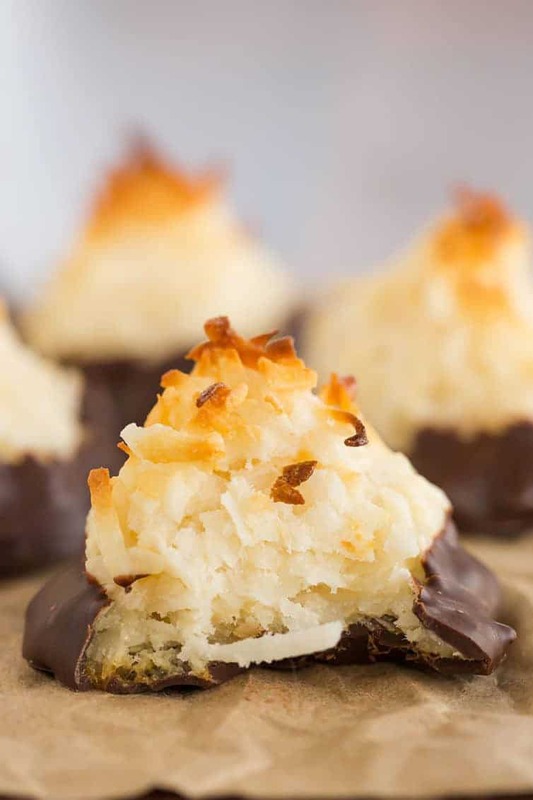 These coconut macaroons are light, chewy, and dipped in chocolate. 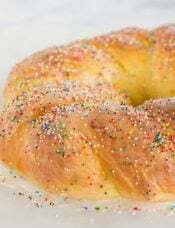 They’re always a crowd favorite and incredibly easy to make! When I first made coconut macaroons nearly eight years ago, I was very new to cookies that were not of the standard chocolate chip, peanut butter, oatmeal-raisin or Christmas-y variety. As a result, I had to Google the difference between a macaroon and a macaron ???? As I’m sure everyone else knows, macarOOns (these) are coconut cookies held together with a mixture of egg white and sweetened condensed milk. MacarOns, on the other hand, are basically little meringue sandwich cookies that can be made in a million different flavors and infinitely different fillings. SO, here we are with coconut macaroons, which are one of the easiest and most delicious cookie recipes you can have in your arsenal. Plus, I went and dipped them in chocolate, so for all of you coconut/chocolate fans, these are a dream. On top of being so incredibly good, these really couldn’t be easier to make. All you need is one bowl and a spoon, mix everything together, and voila! You’re done! I used a tablespoon to measure these out, but you could also use a small cookie scoop to keep the sizes consistent. Once scooped onto the cookie sheet, dip your fingers in water and shape them into mini pyramids. I think you could also keep them in mounds if you’d prefer, but those little triangle are so cute! I made these last week and after serving everyone strawberry rhubarb cake after dinner on Sunday, I realized that I still had quite a few left in the refrigerator. I took the container out and offered one to my aunt who was standing nearby. Her eyes lit up like a Christmas tree at seeing them, then she sat down at the table to talk to my mom and sister, who both exclaimed, “where did you get THAT? !” Needless to say, I took the container around to everyone, and they were snatched up in quite a hurry. 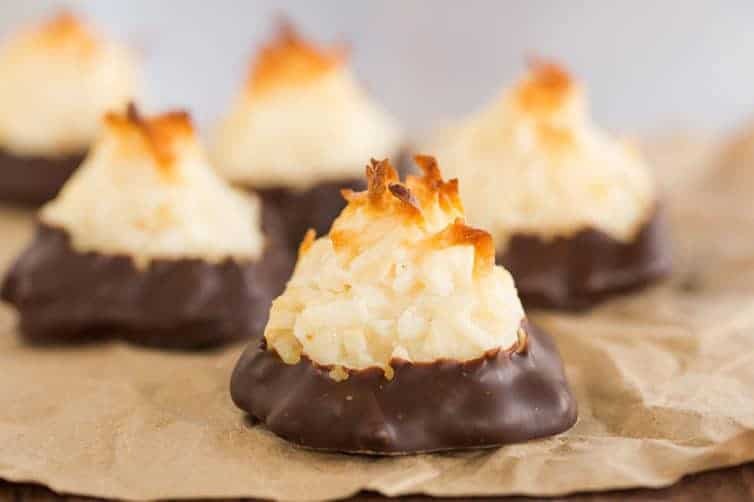 I will, without a doubt, be adding these coconut macaroons to my Christmas baking list this year! 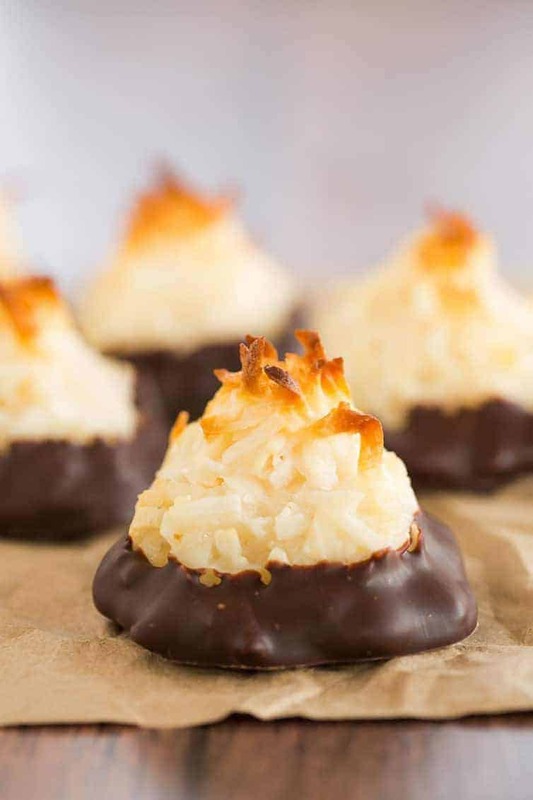 These coconut macaroons are light, chewy, and dipped in chocolate. 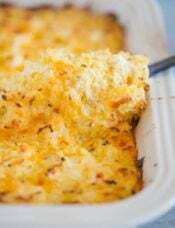 They're always a crowd favorite and incredibly easy to make! Make the Cookies: Preheat the oven to 325°F. Line two cookie sheets with parchment paper or a silicone mat. Drop the dough by tablespoonfuls about 2 inches apart onto the cookie sheets. Form the cookies into loose haystacks with your fingertips, moistening your hands with water as necessary to prevent sticking. 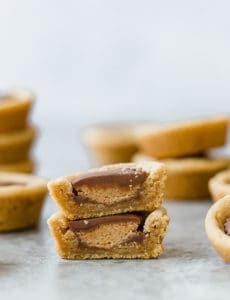 Bake, one sheet at a time, until the cookies are light golden brown, 15 to 20 minutes. Cool the cookies on the baking sheets until slightly set, about 2 minutes, then remove to a wire rack with a wide metal spatula. Cool completely before dipping in chocolate. 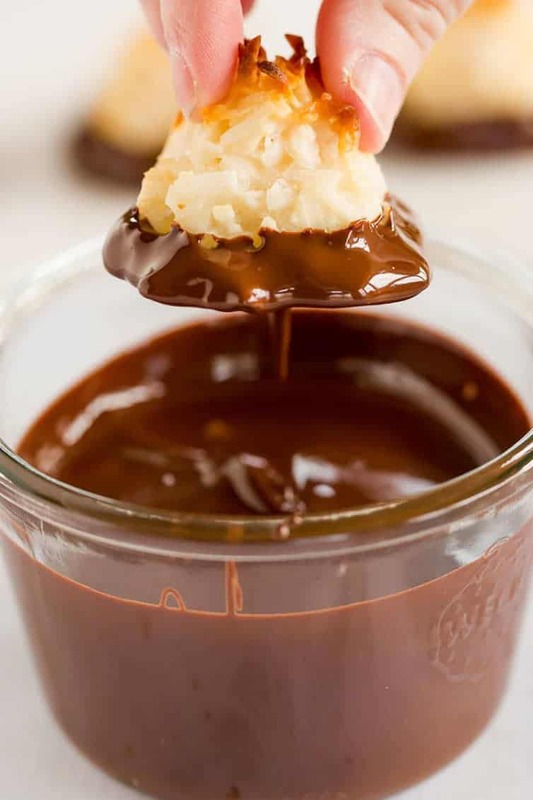 Dip the Cookies: Melt 8 ounces of the chocolate in a small heatproof bowl set over a pan of almost-simmering water, stirring once or twice, until smooth. Remove from the heat; stir in the remaining 2 ounces chocolate until smooth. Refrigerate the macaroons until the chocolate sets, about 15 minutes. 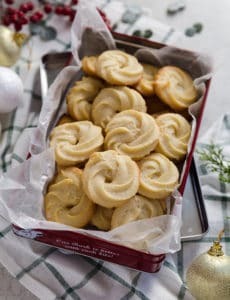 The cookies can be stored in an airtight container at cool room temperature or in the refrigerator for up to 1 week. This recipe was originally published on June 19, 2009. I made these tonight and followed the recipe exactly. They looked beautiful going into the oven. However as they cooked the condensed milk didn’t stay mixed with the coconut and pooled around the bottoms. And i didn’t particularly care for the taste of condensed milk in them. Not for me i guess. I made these last night and they turned out really well. Thanks for the awesome recipe. My question is I want to serve them on Christmas Eve so you thats six days out. You said they are good up to a week in an airtight container but would they taste fresher if I froze them? Will they freeze okay though? Hi Christen, I’ve never tried freezing these so I couldn’t say for sure, but I think they will be fine in an airtight container through Christmas Eve. So glad you liked the recipe! Once the macaroons are dipped and placed in the air tight container won’t the chocolate melt? Hi Adriana, No not at all, as long as you let them set first before storing them. Do you think these would taste ok with candiquik or chocolate almond bark instead of the semi sweet chocolate? Hi Bryn, I think it would taste better with real chocolate, but would definitely work using the candiquik or almond bark. These are easy to make and proportionally delicious to the amount of effort required to make the recipe. I typically make 3 times a recipe for my coffee shop. 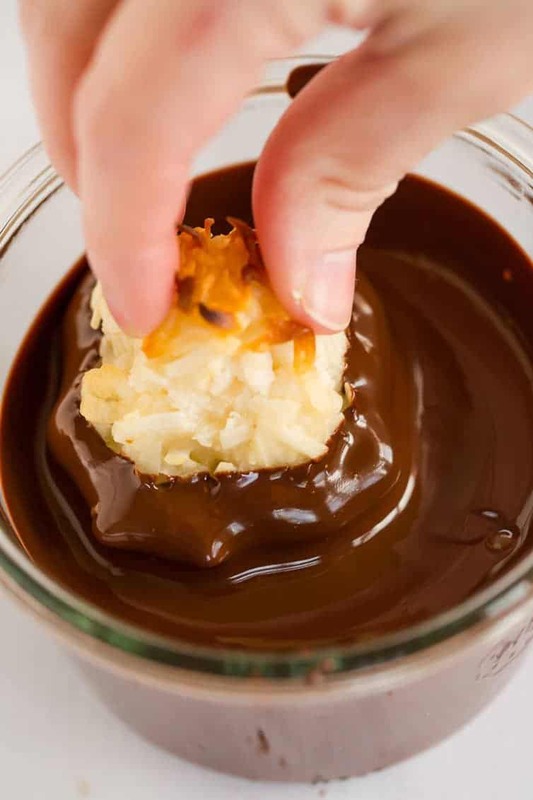 I foun the chocolate that is used to dip the coconut macaroons in was made easier to use when I added and melted a large tablespoon of shortening. I look forward to the comments I receive when they are served at the coffee shop tomorrow! Thanks for the great recipe. I made a batch as a thank-you gift for the host of our Easter brunch, and she couldn’t stop eating them! They came together so quickly and easily and were quite delicious. Do you beat the egg white before adding it to the mixture? Most macaroon recipes call for that step, but this one does not. I’ve never made them before but can’t wait to try your recipe!! They look heavenly. 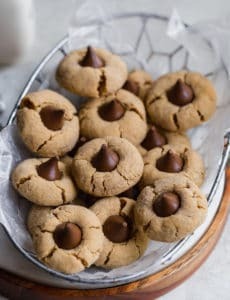 Rather than dipping the cookies, I just mix mini chocolate chips in the entire batter and bake – basically because I hate chocolate all over my sticky fingers. 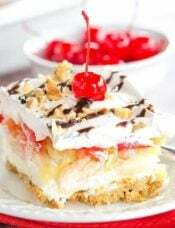 I also use the unsweetened coconut flakes to help cut down the too sweet taste. All in all, one of my favorite cookies.. Your site is one of my favorites. Thank you. 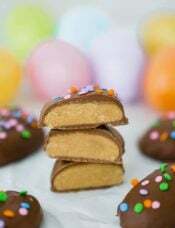 Made these for easter, gonna have to make more:) so good and easy!! I just made these this morning for a luau birthday party I’m going to, and they are delicious! Just be sure to use parchment paper or the silicone mat…I used tin foil for 2 out of m 3 trays, and it was very difficult to get the cookies off – some of the bottom of each cookie stuck to the tray, but the one tray with parchment paper was perfect! Hi, I have made these a bunch of times and need to make them this weekend for a birthday. Just wondering if you think the recipe would work if I were to make more like a bar with the chocolate drizzled on top? Hi Viola, I don’t see why not! These exceeded my expectations. I used baking chocolate. Not too sweet and it hardened beautifully. 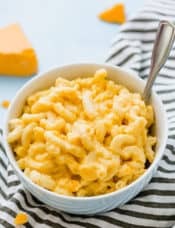 So easy and so delicious!! A highly recommended recipe! I wonder if this recipe can be converted into a cake. These come out beautiful and are super easy to make. It’s a “no fail” recipe in my opinion. My husband loves them so much he never wants me to share them with anyone! I found it difficult to know when they were cooked enough, and didn’t cook my first batch quite long enough. The only downside to this was that the centers leaked out a bit when I dipped them in chocolate. If I had looked at the picture I would have seen yours were browner than mine got, so next time I will cook them longer (which would be the full 20 minutes). Excellent ! (Also had trouble getting them off the pan – again I think because they weren’t cooked long enough – however the metal spatula dipped in cold water worked). I just made these!!! so good! Thanks for sharing. Just wondering how you store them until Christmas? Can they be frozen or are they ok as is in an air tight container? Hi Suzanna, I would probably freeze them if you need to keep them until Christmas. I have never done so, so I can’t vouch for how well they thaw, but I think 2 weeks would be too long without freezing. 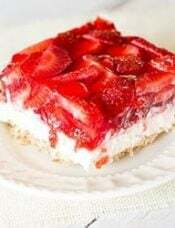 hi, i wanted to know whether it would be fine if i used powdered coconut instead of flaked? Hi Kinza, Unfortunately, I do not think that powdered coconut would work here.